Coming off of back-to-back city championships, expectations were high for the men’s swimming team. After a successful regular season, in which the team lost only two meets (only one to a CPS team), they went into the city championship meet with a lot of confidence. However, despite winning the past two years, the team from Whitney Young came in as the heavy favorite. 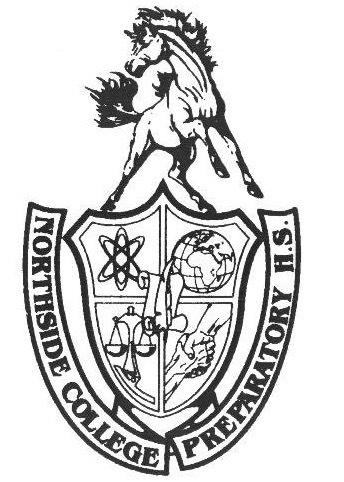 Northside put up their best fight, but could not take down the Dolphins. After the second place finish, the team set their sights on a new goal: state. While most sports have a regional competition, men’s swimming competes at the regional level right away, with a trip to state on the line. In order to qualify for state, swimmers must beat the qualifying time. The qualifying time is set by IHSA and determined by averaging the 30th place times in each event at the state meet over the past five years. Although this does not set a limit on the number of swimmers allowed to move on to state, it is still a difficult accomplishment to attain. This year, the sectional competition that Northside swimmers raced at was held at Niles North on Feb. 17. From the Northside team, four swimmers--Piechnik, Shimada, Lim, and Matt Fernandez, Adv. 006--each competed at a high level and earned the right to move on to the state competition, not only in their individual competitions, but as a team in the 200 yard medley relay as well. A week later, the state competition commenced at Evanston Township High School, with preliminary runs on Feb. 23, and the finals the next day on Feb. 24. Because this location is relatively close to Northside, the swimmers had a home advantage. Not only were they able to sleep in their own beds and drive to the meet, but, in the morning, they had time to come to the Northside pool to warm up and get a last bit of practice in before heading off to the competition. Upon arriving to a state competition, an athlete may, understandably, be nervous, anxious, and overwhelmed by the magnitude (both in physical size and actual importance) of the event. When asked about how he was feeling before his first race, Piechnik said, “Having gone to state before, I knew how to control my nerves and wanted to accomplish my season long goal of placing top-12 in the 100 yard breaststroke.” The two days of competition were intense, but, in the end, Piechnik was able to accomplish his individual goal, as he tied for eighth in the preliminaries, and then placed eighth overall in the entire state in the 100 yard breaststroke. Just behind Piechnik was Lim, who placed 20th overall in the same event. Shimada, who swam the 100 yard butterfly, finished 33rd overall. Fernandez, who swam the 100 yard freestyle, also finished 33rd overall. As a team, Northside finished 19th in state in the 200 yard medley relay. After the final meet, many of the swimmers went out to celebrate by getting dinner with their families. The conclusion to the season was one of the best that the swimmers could hope for, as all ended on a good note by setting personal records in their events. When reflecting on this season and his Northside swimming career, Shimada said, “The training was brutal but we kept reminding ourselves of our goals and had fun making jokes to keep a positive mood. Our success couldn’t have come without our hard work, and I’m happy with my accomplishments during my time swimming for Northside.” This thoughtful remembrance of the time spent in the Northside swimming program is shared by the other members as well. Overall, the Class of 2018’s core trio will be remembered as some of the best swimmers in Northside history. As their time has now come to an end, they can leave having won two city championships, setting eight total school records (two individual, and six relay), being represented at state three out of the four years, and had a state finalist. However, their lasting impact on the program is just as important. The swim program as a whole is strong and continues to head in a positive direction. It will be interesting to see if any future swimmer will be able to break any of the records set by the Class of 2018 swimmers, which may remain on the record board in the pool for years to come.